From overdriven metal to crunchy glitch percussion processors Amp Racks contains a specially programmed selection of all things amplified and distorted. Plug in a live guitar feed, process audio loops or create lo-fi beats with this versatile collection of tools. Includes custom multiband compressors, voice, guitar and drum channels, tone coloring, imaging and mix controls. For annihilating all of your audio quickly and safely. This category includes guitar cabinets, distortion menus, overdrives and bit reduction racks. Add instant dynamicism to a live set with this collection of beat parsers, DJ channel strips, compressors, EQ and filtering effects. 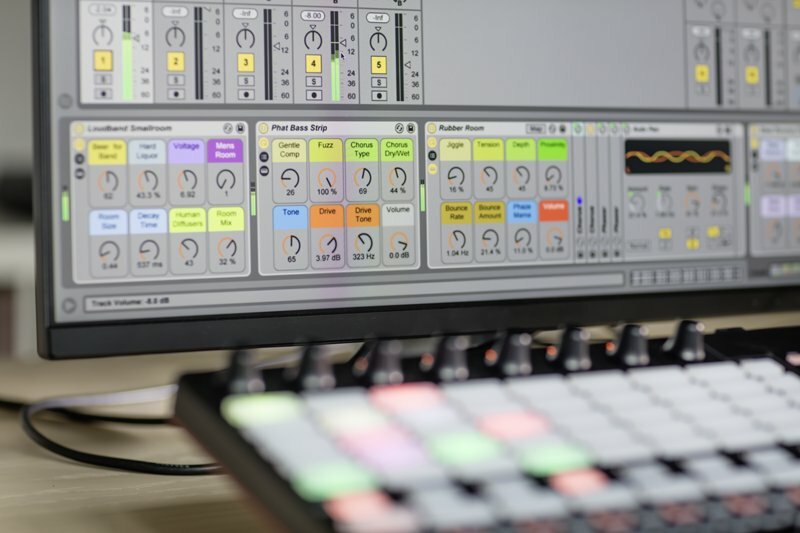 A selection of 11 rhythmic dissection racks, stuttering effects and real-time beat tweaking tools. 8 expertly programmed distortions, bit crunchers and sample massacring racks. Derange and overdrive whatever you feed these effects. 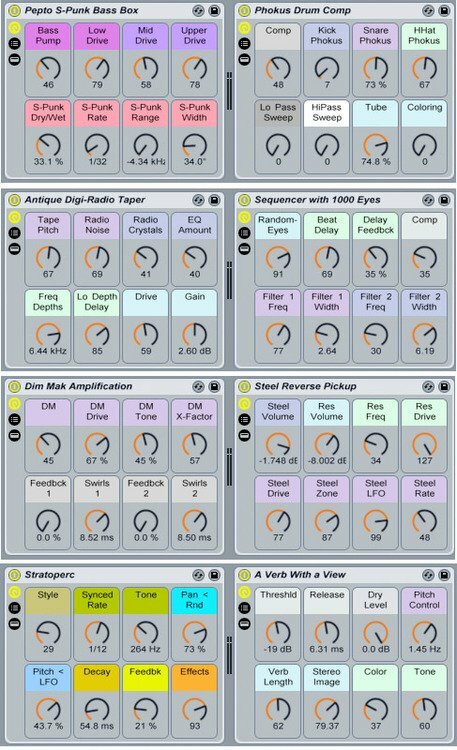 The noise boxes category is unique in that it contains 9 white noise instruments that can easily be replaced with your own instruments or soft synths. Use them as is, or as a template for texture generation, feedback processing and more. Includes 9 advanced audio racks to explore the sonic stereo spectrum, widen your mixes or freak out your drums. Throw 4/4 out the window with this collection of 15 slapbacks, meter crunchers and echo filters. Banks of 8 band split filters with independent time based effects and dynamic processing per band.